Mental health has always been a bit of a taboo subject, but in today's society 1 in 4 people will experience a mental health problem- so why don't we write about it more? I rarely come across a book that so blatently deals with mental health in such a frank manner- and not just that but too often mental health is glamorised or it ends tragically. This book dealt with mental health in an entirely different and refreshing way. Ben is a high flying business man who is reeling in the big bucks. He has an amazing flat in an exclusive part of London and his clothes are disgustingly over priced. He has it all, or so it seems. Mental health doesn't discriminate, and Ben is suffering from anxiety induced by an event in his teen years. Ben doesn't believe he deserves love, he has an irrational fear that he will hurt anyone he loves so to him the obvious option is to just avoid it. But then Effy enters his life, a hardworking charity worker and suddenly he questions his decision to bypass a serious relationship. But can Ben comit to a relationship that he fears he will ruin? What Jessica does brilliantly is show the irrational side of mental health. To someone who has never experienced the crippling anxiety it would seem ridiculous how Ben overthinks everything and how he won't allow himself happiness. It doesn't glamorourise the illness and it also shows the mental health can effect anyone- rich or poor, young or old. I also liked how it wasn't so much about Effy fixing Ben but rather Effy giving Ben the strength and ability to fix himself. Jessica didn't simplify mental health and I'm glad she didn't fall into the trap of the cure being simple. I thought there were a good selection of characters. Ben had a good balance of arrogance and vulnerability and I liked how the cause of his anxiety was revealed bit by bit as the story progressed rather than in one go. Effy did us girls proud- a career women who put her morals and ambitions above all else. It was nice to see a successful female character who valued her own ambitions. 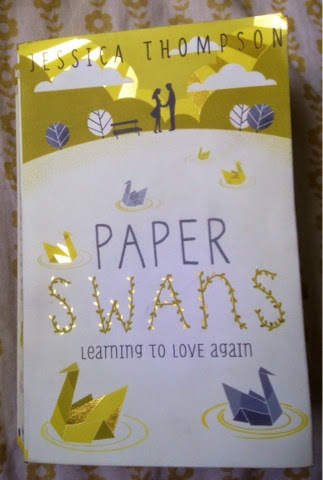 All in all it was a brilliant book that could easily have been a typical love story. But what Jessica did was show that not all love is simple and that anyone can suffer with mental illness and it isn't always easy to recover.